The Victorian Government is considering a ban on the dumping of e-waste in landfills, and an extension of the definition of e-waste to include consumer whitegoods. A discussion paper has been released for consultation on the implementation of the proposal, with submissions being taken until 1 November 2015. The government said e-waste was growing three times faster than general municipal waste in Australia, putting increased pressure on waste management infrastructure and the environment. 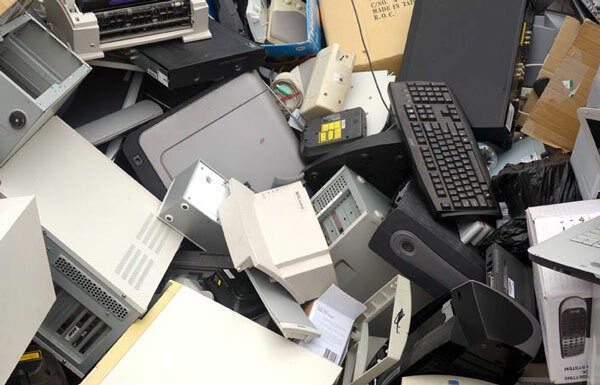 The Managing e-waste in Victoria – starting the conversation discussion paper says a ban could lead to increased recovery of resources including rare earths and metals, and also jobs and investment growth in the recycling industry. “We want to hear the views of communities, industry bodies and recyclers, about the proposed ban on dumping e-waste in our landfills,” Victorian minister for climate change and water Lisa Neville said. The proposal is part of the government’s recently released Statewide Waste and Resource Recovery Infrastructure Plan. One of the long-term goals of the strategy is for Victoria’s landfills to only receive and treat waste from which all viable materials have been recovered. Carmel Dollison, chief executive of the Australia and New Zealand Recycling Platform, which operates the national TechCollect recycling scheme for TVs and computers, welcomed the initiative. She said the organisation would be making a submission in the coming weeks. “We believe this is a great initiative from the Victoria state government, and a step in the right direction with regards to Australia’s waste management and environmental impact,” Ms Dollison said. “To go ahead, the plan must include appropriate funding and infrastructure to ensure there is a safe and viable alternative that recycles the products and recovers the resources they contain; this will ensure its longevity – a point that we will highlight in our submission. Submissions are open until 1 November 2015. As a resource recovery company we believe to ban this material from landfill will greatly enhance the amount of available for processing. Once this happens we are not only willing but also will be forced to create better methods to recover the material inside this resource. E waste is an easy material to recover from although some export issues will need to be looked at due to lack of technology in Australia to complete the full process. Materials like leaded glass , battery powders and circuit board resins are 3 products that do cause issues currently.